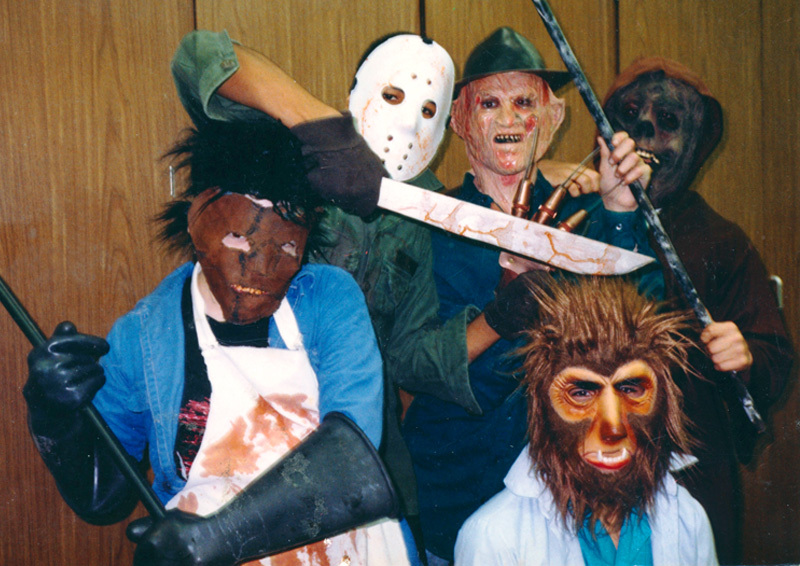 By the 8th grade my horror movie immersion was at its zenith. I had a subscription to Fangoria and would supplement the time in-between issues with copies of Gorezone, among others. I had amassed an impressive mask collection from Halloweens past, my favorite of which was the full head and shoulders rotted skull mask that I had worn the year I went as Big Ben from the movie House. 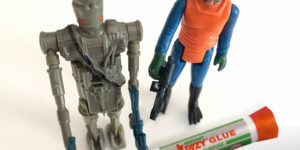 Freddy Krueger and Iron Maiden posters decorated the walls of my bedroom (I wasn’t even an Iron Maiden fan, I just loved Eddie, the band’s undead mascot), a hockey mask hung from my bedpost, and a rubber severed hand gripped the bedroom doorknob. When I wasn’t wearing my Freddy Krueger sweater, I sported a Nightmare on Elm Street 3 T-Shirt or one that featured a glow-in-the-dark rib cage. I had just moved to Connecticut with my mom after having lived with dad for a few years in Massachusetts. My mother was genuinely worried. I’ve always had an appreciation for monsters and the macabre but in my single digit years I’d get my fix from more innocuous things like the classics shown on The Creature Double Feature, Scooby-Doo, or The Munsters. I didn’t miss the opportunity to tune in to the 3D broadcasts of Gorilla at Large and Creature from the Black Lagoon. But when it came to the more realistic blood and guts kind of stuff, I was terrified. One Halloween, an older next door neighbor came up to our apartment to show off his Halloween makeup. Trying to spare me grief, my friend Aaron bounded past him up the stairs calling, “it’s only makeup, it’s only makeup!” It looked like one of his eyes had melted into a bloody knot of flesh down one side of his face. Terrified, I broke into tears. Despite the risk of running into something terrifying, I adored Halloween. I couldn’t wait for late September, when the back to school hoopla was stricken from department store shelves and replaced with Halloween provisions. In my neighborhood, most of the Halloween shopping was done at the local K-Mart, where an entire oasis dedicated to all things spooky had sprung up overnight. The isles were stocked with die cut cardboard decorations like witches, arched black cats, full-sized poseable skeletons and Frankenstein’s Monsters, or the strangely textured plastic popcorn decorations which looked to me like crayons melted into the image of jack-o-lanterns, skulls and ghosts. 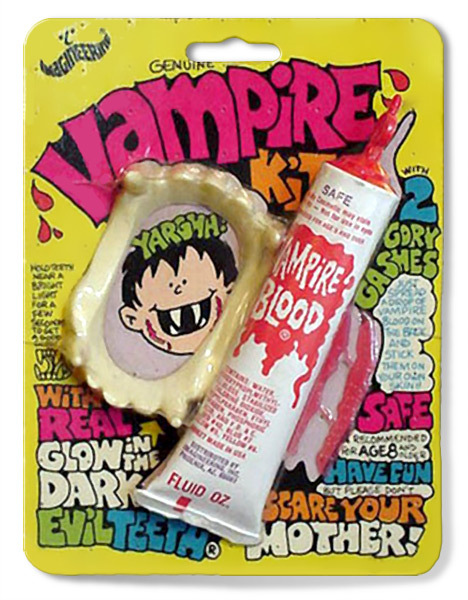 There, I’d procure the obligatory set of glow-in-the-dark fangs and a tube of fake blood gel by Imagineering. Though I had no intention of going as a Dracula, these items served as party favors to celebrate the coming of Halloween. 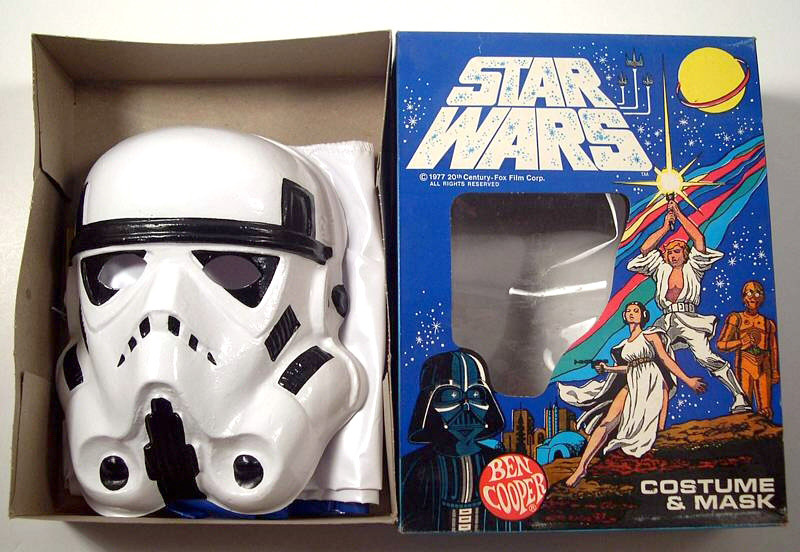 Trick or treating at the end of the 1970s into the early 1980s meant that I’d be dressed in a cheap, store-bought costume that featured a vacuum formed mask and vinyl jumpsuit emblazoned with a bright illustration and/or logo depicting the very character you were supposed to be dressed as. These costumes, manufactured by either the Ben Cooper or Collegeville companies, were the standard throughout my tenure of trick-or-treating. I’d carefully select my costume from a stack of options sold in flimsy colorful boxes with cellophane windows from which eyeless faces peered creepily. The boxes featured a blank side panel stamped with the character name and costume size, and were stocked with these panels facing out making the costume selection process like a fun version of shoe shopping. Not surprisingly, I tended to gravitate toward the Star Wars costumes, selecting one that would complement the one my best friend Aaron would be wearing. When, for two years in a row, he dressed as Darth Vader, I accompanied him as a Stormtrooper and then as Boba Fett. Aaron’s mother and grandmother ran a Halloween costume creation and rental business out of the basement of our shared three family house, so on a couple of occasions our costumes benefited from their combined talents. One year, Aaron’s vinyl Darth Vader smock was replaced with a more theatrically accurate custom job, and a few years later my Yoda costume featured cloth robes, with a built-in hunched back. With our chaperones on the sidewalk keeping a lookout for Halloween baddies, we’d stand shoulder to shoulder with the rest of the neighborhood kids ringing door bells and holding out our plastic jack-o-lantern buckets collecting treats that kept our dentists in business. I loved kicking though the leaves in our neighborhood on those brisk nights, face sweating under the cheap plastic mask, peering out at the other kids in their similar getups. Inevitably, two kids would pass and crane their heads to look at each other in compensation for the obliterated peripheral vision realizing that they had made identical costume choices. 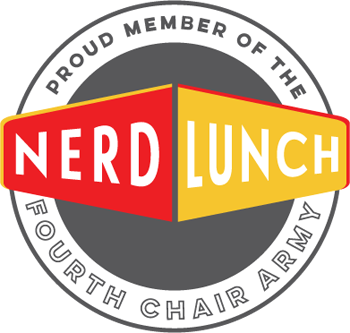 We were surreal in our motionless faces going door to door as miniature members of Galactic Empire, Batmen with chiseled man-chins, Strawberry Shortcakes, Smurfs, Hazzard County cousins, perma-smiling Wonder Women, or Hairy & Scary Draculas and She-Hulks with rooted curly hair. We’d press our masks tighter to our faces, allowing a clearer view through the eye-holes, and try our best not to trip on a porch step or curb and risk tearing our flimsy plastic smocks. It was unsafe, a little spooky, and inherently thrilling. In the presence of my father, my fortitude was tested and primed regularly. On many occasions he’d drag me to the drive-in to see movies like Dawn of the Dead, Mother’s Day, Cujo, and Christine. Also, my dad was a moth drawn to The Movie Loft on TV-38 when it aired something like The Shining or The Exorcist. I viewed all of these movies from under a blanket, or sleeping bag, covering my face when the terror was too much to bear, and all before the age of ten. My dad would explain that the blood and viscera were only special effects, but this never alleviated my fear, nor did it deter him from exposing me to such images. These movies were terror-fuel for my active imagination but were benign compared to the horror my father experienced during his draft in Vietnam, most of which replaced typical “when I was your age” mythology. For him, the horror and gore media consumption was a way to master and control his trauma. Unfortunately, being a kid, I wasn’t as well versed in compartmentalizing. I masterfully fashioned monsters and maniacs out of the shadows in my bedroom which were marginally repelled by a mandatory. In addition I’d cocoon myself under the covers to get any sleeping done. Understanding that horror would be a foundation of my relationship with my father, combined with my Y chromosome, I ultimately relented to and relished in the macabre in a sort of if you can’t beat ‘em, join ‘em way. In the fifth grade, I acquired a book called Make-Up Monsters by Marcia Lynn Cox. It offered step-by-step instructions on how to create make-up effects for an assortment of monsters. Along with standards like Count Dracula, The Mummy and the Wolfman, it featured slightly more grotesque tutorials for things like Reptile Man, who looked like a hideous Kermit the Frog, and Dripping Face, whose face was…well, dripping. I tried out many of the books’ tutorials, and did achieve some success with the ones that called for supplies within my grasp. However, when it came to creating the werewolf—which called for Dr. Scholl’s Lamb’s Wool for the fur and the wax that comes on the outside of cheese wheels for the teeth—I was out of luck. Mine wasn’t a cheese wheel family, and apparently lamb’s wool wasn’t in high demand in my neighborhood. 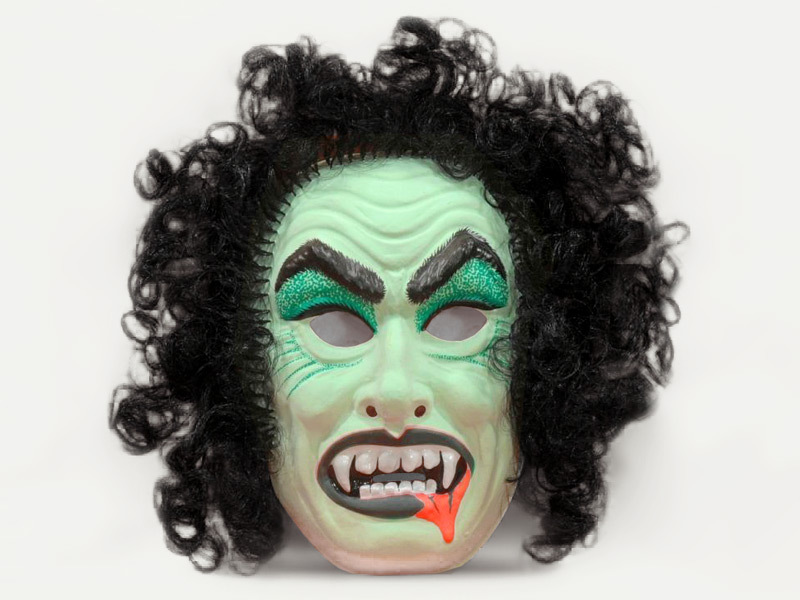 Unable to find the makeup supplies, I settled for my first rubber mask, a Wolfman, effectively graduating from my Ben Cooper Days. 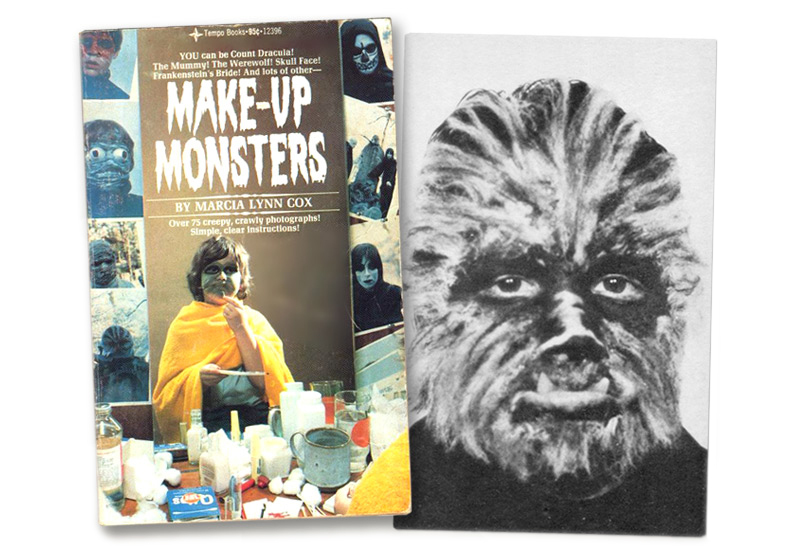 Make-Up Monsters served as a gateway to magazines like Cinemagic, Starlog, and Fangoria, which offered readers a behind the scenes peek at movie magic including the very special effects that had frightened me not long before. Armed with insider knowledge on how it all worked, I became obsessed with horror movies, the gorier the better. 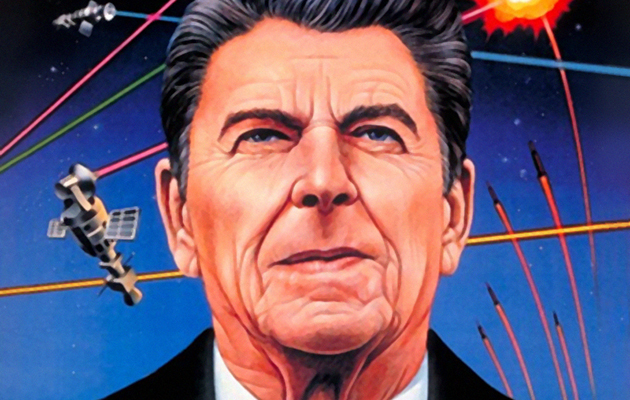 This revelation coincided with my family’s introduction to the VCR. My dad and I would frequent the local video store with a special focus on the horror section. If it was in the horror section we rented it. Unfortunately, this meant that we’d sit through a lot of stinkers, and certainly my adolescence would have been just fine had I gone without viewing I Spit on Your Grave. In the same room as my father. And my grandmother. In the 8th grade, my art class converted the studio portion of the art room into a haunted House. We created a maze through the studio by duct taping refrigerator boxes together and painting them black. We built a tiny graveyard in the corner by the kiln and painted skeletons, ghosts, and dismembered bodies on the walls in white paint that would glow when lit with black lights. I loaned my mask collection to the effort and created a generous amount of fake blood with corn syrup and food coloring. Our cast of creeps included witches, a werewolf, Jason Voorhees, a grim reaper, Norman Bates and Marion Crane. I made a Leatherface costume for myself by hand sewing a mask out of denim that I painted and shined with shoe polish to give it a leathery look. Prop chainsaws weren’t easy to come by in 1987 so I was resigned to wielding a plastic axe. For the week of Halloween, the younger classes from the school as well as students from a couple of neighboring schools would make their way through our haunted house as we tried our best to terrify them. Here, my father‘s questionable decision to overexpose me to horror movies at a young age served me well. Unfortunately it didn’t have many other practical uses other than a few interesting conversations with a shrink. A video of our haunted house exists. It’s a dress rehearsal shot with all of the lights on but it captures the effort that we all put into it. I find my commitment to the performance and pre-pubescent squeal of my voice embarrassing; nearly impossible for me to watch. Nonetheless, I’m glad that it exists. It’s a time capsule into one of my favorite Halloweens of all time. 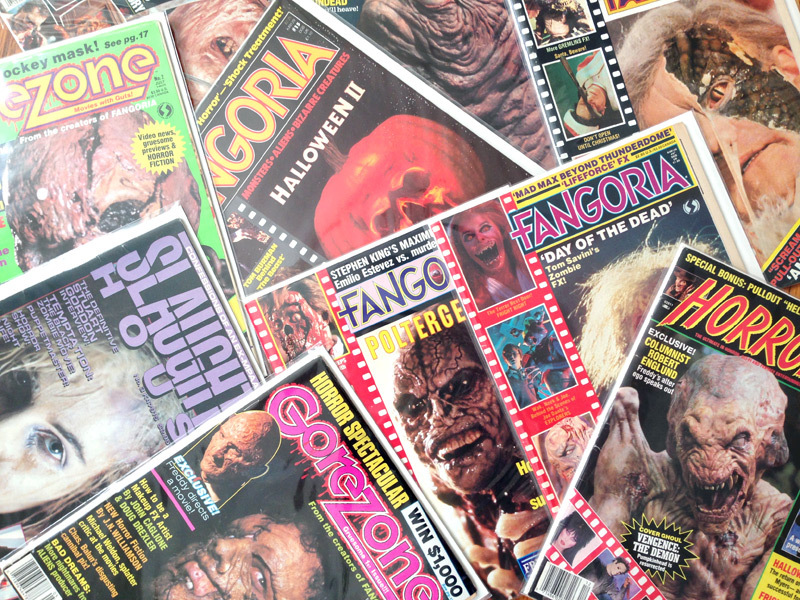 I entertained the idea of moving to California after high school to go special effects school and I even went as far as ordering brochures from schools advertised in Fangoria. I imagined myself as the next Rick Baker, Tom Savini, or Kevin Yagher. Around this time, my mother went from being a lapsed catholic to born again Christian. Her concerns about my fascination with the macabre were rendered as proof that she needed to save my soul and I was forced to take down my posters, and get rid of my masks and props. I packed them up and kept them at my dad’s house, where my horror mania was born. Years later, my mother forced me to take down my Jim Morrison posters in a similar effort to keep me out of the Devil’s hands. Her concern was that I was worshipping the dead. The Doors are one of my favorite bands, but I can’t say that my fandom ever reached worship status. Not in the way a person might worship Jesus Christ, who happens to be a dead guy. Eventually, my horror mania faded. Instead of makeup effects, I opted to study art at a local college. My interests broadened and I felt that most of the horror movies released after the 80s paled in comparison to those that had come before. This is not to say that I don’t love a good horror movie, when a good one comes along that is. Most modern offerings suffer from hyper-slick production, numbingly predictable plots, and inflated budgets yet neglect to tap organic fear that was so present in the iconic movies of the 70s and 80s. Still, I celebrated Halloween with zeal, planning my costumes at the close of summer. 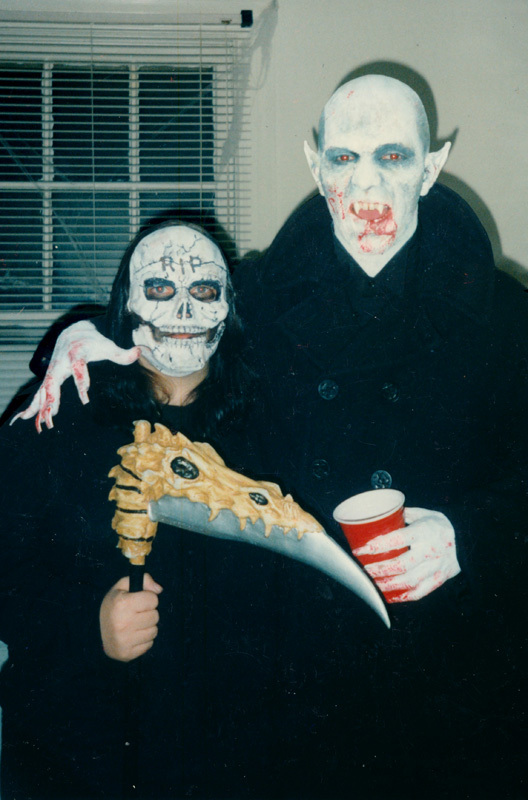 My last big hurrah was Nosferatu costume that involved teeth and nails that made eating and bathroom usage very difficult. You try unzipping your fly with Lee Press On Nails. It’s probably for the best that I started packing away all of my horror business with the rest of the Halloween decorations every year. While I still disagree with my mother regarding the state of my soul, my fanaticism was becoming an eccentricity akin to people who wearing Christmas sweaters all year round. It’s mostly harmless but a little bit weird. Also, I’ve developed a bit of a latex allergy. Just touching a rubber mask makes my lips go numb. I‘m told that this is the beginning stages of anaphylaxis, and is likely attributable to repeated exposure to latex. Too much of a good thing I suppose. I haven’t really put much effort into Halloween lately. My wife and I do try to go pumpkin picking every year, but the gourd never seems to make it to jack-o-lantern status. Damn our grown-up obligations and the schedules they impose upon us. 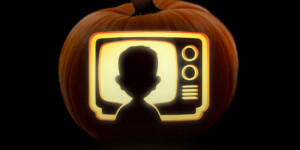 That being said, we will have a chance to do something Halloweeny this year, as we have tickets for Chiller Theater. But what I would give for an adult sized Ben Cooper costume, and a neighborhood that welcomed a costumed man in his late thirties begging for candy. Thanks for reading. Indeed, my memory is sharp for things like this, but I can barely remember a phone number. I do feel like I dodged a bullet by not going into special effects. Both because of the latex allergy and also because there’s less need for practical effects these days. Maybe i’ll put my creative energies into making adult Ben Cooper style costumes. Another great post, thanks for reminding me of that Make-Up Monsters book, had completely forgotten about it. Indeed. I just ordered a used copy online. I might try out some of the monster recipes. 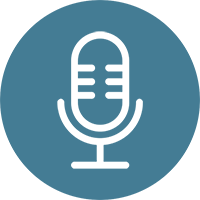 This has to be one of the best blog posts I have read… well almost… ever I guess. This was genuinely a quality read. I love how you tie a lot of your personal growth as a person, and a lot of your personal family relationships to your Halloween experiences. I could see this published. Great, great stuff. I’m sharing the HELL out of this. Thank you, that means a lot to me. One of the reasons I started doing this was to try and make sense of myself. At times it feels like a whole bunch of navel gazing, so it’s nice to hear that it can be entertaining to others. I’ve noticed on your blog that your daughter has an interest in effects makeup, and she’s quite talented from the looks of it. Good kid you’ve got there. Great, great post! You nailed the Halloweens of the past so well, I must have grown up at the same time as you. Funny how things change over time. Thanks for posting and sharing! Happy Halloween!